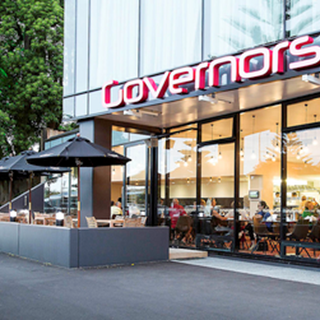 Governors Eatery + Bar is flooded with natural light from its large, street facing windows and focusses on regional cuisine that highlights the best local produce from the Taranaki region. 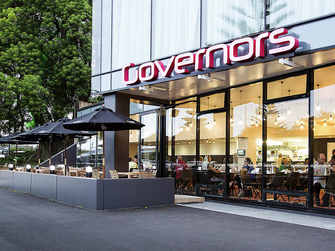 Featuring indoor and outdoor dining areas, Governors is the perfect place to relax with a meal accompanied by a fine New Zealand wine, a specialty cocktail or refreshing beverage. Our Governors team would like to invite you to an unprecedented culinary experience and a true New Zealand service from the moment you step into the restaurant or bar. Overall an A+ experience. The only minor issue was that the brocoli was described as chargrilled, but was very clearly not chargrilled at all - when this was suggested to the waiter, he then spoke to the chef who said that it was cooked in a pan and therefore chargrilled, despite this obviously not being the case. Was a strange little thing to put just an ever so minor downer on an otherwise excellent meal. First time at this restaurant. The service was excellent. The food was very yummy and tasty. Food presentation was great. Using our Accor Plus makes the dinner a real value for money experience. We will continue to return to Governors as the food and service is first class. Was very disappointing, it took along time to get served when we arrived and even longer to get our drinks. We only had dessert and was very disappointed. I had the rocky road ball and besides a very small amount of crumble it was sitting on that was it!! Have had it before and definitely got more crumble and fruit. The pictures on fb shows this dessert and it was not what we got. There was no fruit and only two tiny little marshmellows not the big ones shown on the fb page. For $18 it was a rip off. Wont be back in a hurry! My friend and I had a fantastic time at Governor's the service was great and the food was absofrickenly delicious, the steak was cooked to perfection I couldn't of asked for any better. Thank you for helping to make my birthday dinner delightful. On the menu it sounded nice but what I got wasn’t what I had expected and when I asked the waitress is this the bacon she said yes !! The bottomless lunch was amazing! Food was delicious, we had the beef burger, the fish and the risotto - all beautifully presented. The sorbet was so good that we had trouble picking a favourite flavour. Our waitress was friendly, knowledgeable and was very attentive, she made sure we never saw the bottom of our glasses! I thought this would be a try once event but the lunch was an experience to be enjoyed and shared, we will definitely be going back again. Lovely food, wine and service. First time we have been here, will definitely be back. We were celebrating our 37th WA. From the time we arrived till the time we left the service was faultless. Yes very nice experience. Our dinner was very good. And it all suited our special occasion. Would dine there again. Great lunch with First Table. Having popped in prior to our booking to discuss dietary requirements i had confidence on the day to enjoy my meal. Luke our waiter was awesome. Really polite, helpful and attentive without being over the top. Generous servings which we couldn't fault. You need some blinds to stop sun striker immediately.No one could see while sun was setting, very uncomfortable & it really ruined the whole night... which was a special night for our family. Foir beautiful looking and tasting meals. The sourdough was amazing. Desserts were very yummy. Altogether a great night out. Arrived and greeted nicely but after getting drinks and seated into lounge, chairs were dirty with crumbs and flies were a real nuisance. Came to dinner, the staff had bad breath and the sun was really bad to the point of not being able to see the food or my partner. Was not the only people with the issue. Other than that was a nice time had. We really enjoyed our dining experience. The waitress was superb and the food do die for! It was a very nice lunch and we will def come again soon! Good music being played. Food was lovely but had to wait quite a long time I thought. Waitress did approach us and apologise about the time it was taking. Quite expensive for a dinner out.